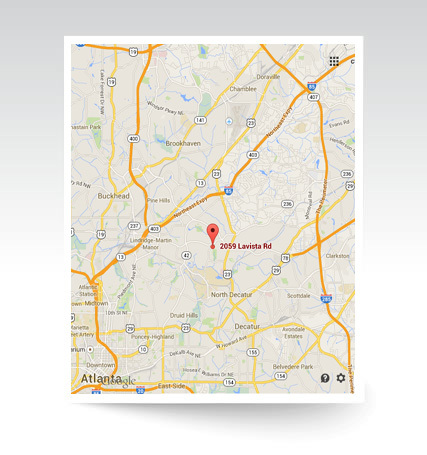 Please note—our mailing address is not the same as our meeting location. Head North on I-85 to the Buford Highway Connector. Turn right on Cheshire Bridge Road, then left on LaVista Road. Church will be 2 miles on the right. Head South on I-85 to Exit 91 / Clairmont Road. Turn left on Clairmont Road. Turn right on LaVista Road. Church will be less than a mile on the left. Take the LaVista Road exit toward Atlanta. Church will be be about 5 miles on the left.